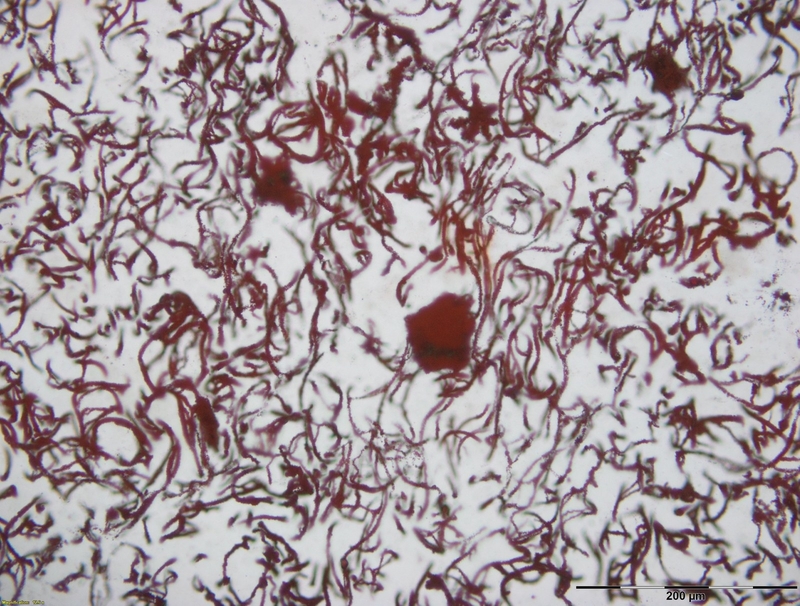 The remains of 4-billion-year-old bacteria found in rocks in northern Canada could tell us about the origin of life on Earth – and perhaps on Mars. 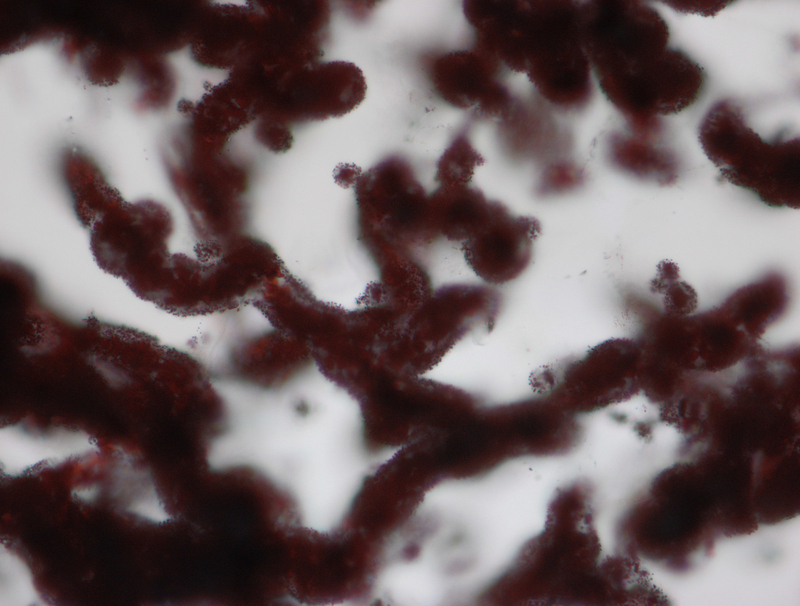 Haematite tubes found in Nuvvuagittuq – the remains of ancient bacteria, at least 3.77 billion years old. A British-led team of scientists have found what they believe to be the oldest fossils ever discovered – a mass of bacteria living around a volcanic vent in the oceans of the young Earth, at least 3.77 billion years ago. It pushes the confirmed origin of life still further back into the early years of the planet's existence, and the scientists say that it could help tell us where to look for life elsewhere in the solar system – and possibly tell us whether we're likely to be alone in the universe. The oldest previously confirmed fossils are more than a quarter of a billion years younger. Last year some rocks believed to contain a very different kind of bacteria were found in Greenland, dated to 3.71 billion years ago, but some scientists are yet to be convinced that they really represent the remains of ancient life. The latest discovery was made by scientists from University College London and published today in the journal Nature. They looked at some of the oldest rocks in the world, in the Nuvvuagittuq greenstone belt in northern Quebec, Canada, which have previously been dated as between 3.77 and 4.28 billion years old. Nuvvuagittuq was once a part of the ocean floor. When they cut the rock into hundredth-of-a-millimetre slices and examined it under a microscope, they found tiny tube- and filament-like structures. Chemical examination found that those structures were coated with an iron-based mineral called haematite. There are vents on the bottom of the ocean on modern-day Earth that pump hot, mineral-rich water out into the sea. These hydrothermal vents are literal hotbeds of life – they are surrounded by mats of bacteria, some of which take iron out of the water, stripping electrons from it for energy. 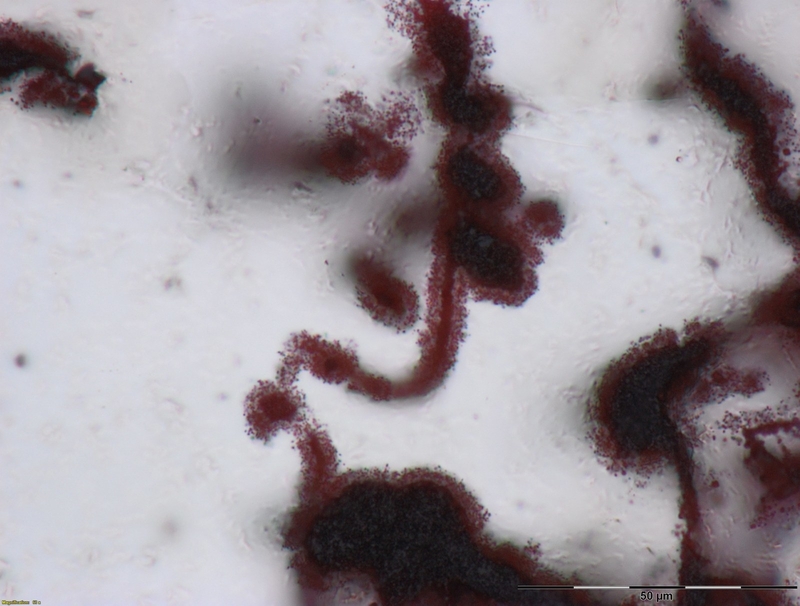 These iron-oxidising bacteria also form cylindrical casts of haematite, just like those found in the Nuvvuagittuq stone. Similar structures have been found throughout the geological record. Other features of the Nuvvuagittuq stone, including "rosettes" of haematite and the presence of other minerals, such as apatite and graphite, which are often associated with life, confirmed the scientists' suspicions that these structures were biological in origin. According to Matthew Dodds, a PhD student who worked on the study, the bacteria would have been visible to the naked eye – not individually, but "in the modern world, they form these orangey mats around the vents". The discovery pushes the dawn of life on Earth back even further, according to Dr Dominic Papineau, a University College London geochemist and the lead author of the study. He told a briefing that although the fossils are a minimum of 3.77 billion years old, they could be as old as 4.28 billion years. "A colleague of mine thinks 4.28 billion," he said. "All we can agree on is a minimum age of 3.77 billion." Either way, he said, "life is considerably older than we thought". It also has important things to say about the possibility of life on Mars. In the early years of the solar system, Mars and Earth were very similar places, according to Dodds. "From Mars rovers and satellites, we know that Mars was a wet planet," he said in the briefing. "It had oceans, just like Earth at the time." He told BuzzFeed News that if future missions to Mars don't find evidence of life around ancient hydrothermal vents, that makes it much more likely that there was something special about Earth. "These findings open up two possibilities," he said. "The extremes. Either life was very easy to kickstart, or it was a one-off fluke. Some of the rock – haematitic chert – in which the fossils were found. "If we find similarly old rocks on Mars, and we don't find evidence of life, then it may point to the fact that Earth may have been a very special exception." There is evidence of these vents on the planet, he said, so this finding would suggest that they're a good place to look for life. Nick Lane, a professor of evolutionary biochemistry at UCL who didn't work on the study, described it as "beautiful work". "It's very nicely done," he told BuzzFeed News. "I'd buy it." One commonly held hypothesis is that life on Earth began in a hydrothermal vent not dissimilar to these. Lane himself has spent years promoting the idea. But this latest discovery doesn't necessarily help confirm it, he said. "I don't think it does," he said, "because they're bacteria." Life is divided into three great domains – bacteria, eukaryotes, and archaea. Eukaryotes are all complex life – us, mushrooms, oak trees, fish, everything. Bacteria and archaea are simple single-celled organisms that look very similar but are chemically, and evolutionarily, very different. "The origin of life goes back before the common ancestor of bacteria and archaea," Lane said. But these fossils are clearly bacteria, which have apparently hardly changed in the intervening billions of years. Instead of being the very first forms of life, these bacteria were part of a thriving, relatively sophisticated, complex ecosystem, he said. "I don't think anyone's surprised to find life around hydrothermal systems," he said. "It's where you'd expect to find it, because that's where the electrons are. It's consistent [with my hypothesis], but people who believe it started elsewhere will make the perfectly valid point that it doesn't say anything about where life started. It just says where it adapted to early on, and it's somewhere you'd expect it to adapt to." What he does think, though, is that this could, in terms of years, still be very, very early in the history of life itself. "It seems complicated, so we assume it takes a long time [for organisms like this to evolve]," he said. "But once you've got a cell capable of doing basic metabolism, it could be very quick. [All the chemical processes] are variants of the same thing." Which means, he said, that these bacteria could have been amazingly close to the very first life form. "It's complacent to assume that it must take hundreds of millions of years," he said. "I can't give you a number, but it could be 10 years. There's no good reason to say it couldn't be decades, and there are probably good reasons to say it could be decades."